...there was SEO. In a world with continuous additions and changes, it’s no wonder why search engine optimization can either make or break a company. Today, individuals turn to the internet when they are trying to find something of a particular niche (category). In this article, I will teach you the basics of the SEO world that could help transform your company and make your business explode! When it comes to SEO tools and extensions, I’m a pretty picky person -- I like to keep it simple. With this being said, I will share some of my favorite SEO tools. Be sure to check them all out yourself to see what works for you! 1. My favorite tool to use is Google's extension Check My Links. Check My Links allows you to run a diagnostic report on all links found on the page that you are currently on in order to determine if there any broken links. If so, it will show how many broken links there are on the page as well as provides you with the error code correlated to each broken link. This provides an opportunity for a business to provide a relevant page fitting to what was linked to before. How this is done is by copying the link URL and pasting it into the Wayback Machine and finding what was listed on the now broken page. Now reclaim those 404’s! 2. Moz Open Site Explorer (OSE) and the MozBar are my second choice that I would like to share. Moz’s OSE provides the user with the capability to run competitive backlink reports on your competition, reclaim links, see sites that have mentioned your company and so much more. The MozBar allows the user the capability to view the page authority, domain authority, amount of links to the page and domain from how many unique root domains, and so much more. This allows a search engine optimizer to decide if they would like to target the page/domain at hand or not. 3. SEMrush provides the user with many different tools that can be used to bulldoze your way through the competition to the top of the search engine results pages (SERP’s). For example, if you are unsure of who your competition is, just plug in the URL into SEMrush, click on “Organic Research,” then click on “Competitors.” This will provide you with a page that allows you to see your competitors, how many there are, the level of competition/relevant shared key words, and more. This is only one small part of the many different tools that SEMrush provides a user. 4. Majestic is a powerful tool that provides many different features for the user. You can view backlinks to competitors for the past 90 days (fresh index) or over it’s lifespan (historic index). Webmasters can also verify their websites and create free reports for them. If your business is too busy to do it’s own SEO work, do not fret -- you are not alone. Many businesses find it a difficult task to attempt their own SEO link building campaign which leads them to various SEO firms all across the world. Typical SEO firms offer services such as: link building campaigns, pay per click (PPC) campaigns, and social media efforts. So how do you know if you should consider SEO services? It is up to your business. If you aren’t receiving any online traffic, it could be due to your page ranking low in the SERP’s. Some businesses such as Walmart or Staples don’t have to engage in SEO practices due to the goliath size of the market. Many smaller businesses might want to consider hiring an SEO firm. ...there will be links. 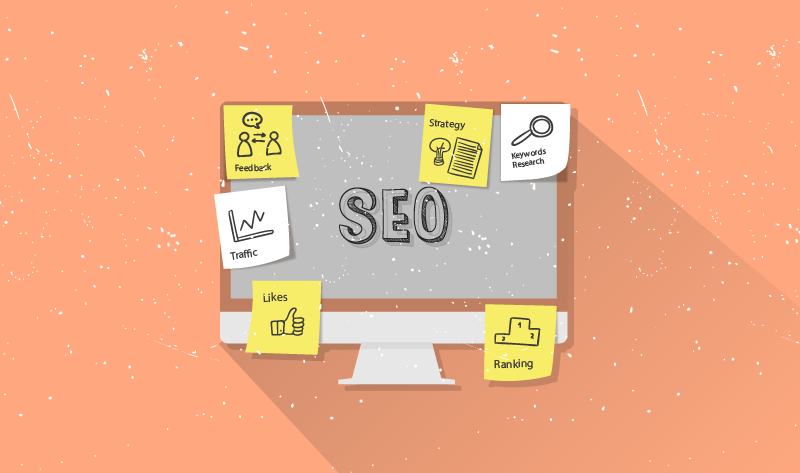 In this article, I have briefly discussed my role in the SEO world, some of my favorite SEO tools, strategies, and approaches, and lastly I discussed SEO services. #LinkLife is the future of businesses and individuals websites. Take what you have learned and further adopt/implement strategies that will be effective to transform your business and make it explode. This guest post is contributed by Kyle Blackhurst.